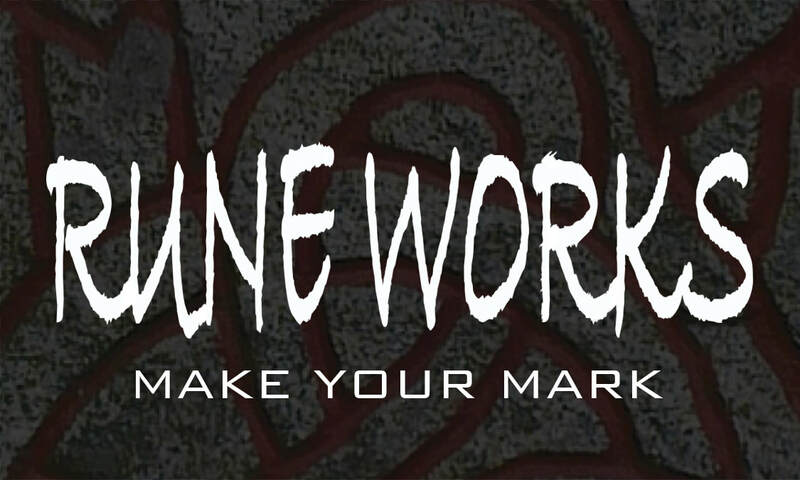 Rune Works® Productions Ltd. is a production, media, public relations, and publication house leading the way with quality art in myriad forms, including novels, fine art, pop art, film, animation, gaming, critical reviews, and comic books. Our divisions are dedicated to creating, representing, and producing vastly innovative content for all types of audiences, including business and marketing consulting and social media and web design content. Rune Works Productions Ltd. began in 2007 as an outlet for innovative artists looking to thrive with their works. The object: to give a voice to unique artists - the weird, the talented, the controversial - and bring those voices to the world. Today we are fortunate to work with some amazing artists who are established, up and coming, or everything in between across a menagerie of mediums. As a source of entertainment media, Rune Works has produced books of fiction, poetry, graphic novels, web site design/content, advertising/P.R., animation, photography, gaming, and film adaptation, including book trailers. Projects currently underway involve an unannounced graphic novel from R.J. Huneke (as artist/writer), Cassandra DeMario's epic and experimental book of poetry told across a graphic novel, the launch of Ivan O'Neill's Blackwood State comic book creation (#0 and #1 were just the beginning), and another speculative fiction novel to followup R.J. Huneke's Cyberwar, which was published on 5/5/15, among others. Our Rune Works News & Reviews and our POWkabam Reviews offer critical looks, from the artists' perspective, to give a new twist on giving critiques of graphic novels and comics (at POWkabam.com), and Movies, Books, and Popular Culture (at RuneWorks.com). Rune Works Productions Ltd. differs from traditional production & publishing houses in that our business model favors the artist. Why? We are artists ourselves. And we are trained in collaboration as well as representing artists, so we can assure you a positive exposure to the world. Our in-house media & marketing force is known as C.M.O. Sync, and we have made many great web designs and social media programs, like thesocialmediabusiness.com, though we are always open to other collaborations depending on a project's needs. Rune Works is well known for its custom writing and editing services, namely providing web site, public relations and media content that have been featured in hundreds of publications. We pride ourselves on delivering the best writing for quality entertainment. May we ever keep carving out the runes!